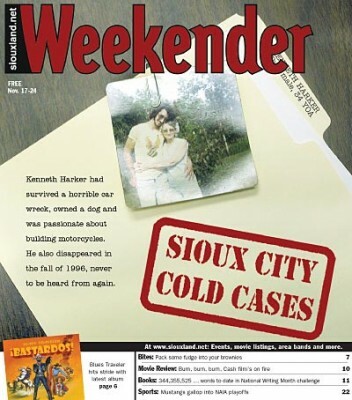 The Weekender cover featuring Kenneth Harker’s unsolved disappearance. Welcome to Jody Ewing’s website. Jody has worked as a professional writer — from full-time staff writer to freelancer — for more than 20 years. Her published credits include more than 950 feature stories and articles (approximately 400 of those related to Iowa’s unsolved murders and missing persons cases) , the book One Way: Bumps and Detours on the Road to Adulthood, the Amazon Short, Pull, an Iowa Cold Case series for a tri-state newsweekly, an author interview series, and many other writing/editing projects including both original and commissioned screenplay adaptations. Her Sioux City Weekender cold case series led to her developing the Iowa Cold Cases website, which Jody launched in 2005 and incorporated as an Iowa nonprofit in April 2010. The site now features case summaries for nearly 600 unsolved crimes and, as of 2018, averaged over a half million page views per month. Here on her “personal” website, you’ll find updates on Jody’s latest writing projects, a sampling of her author interviews and feature stories, photo albums and videos (both newscasts and personal videos/slideshows), and her blog, which often reflects another great passion: her unabashed love for her dogs and the stories they often have to tell. 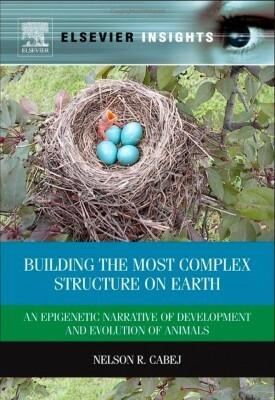 Jody’s photography recently drew the interest of textbook author Nelson R. Cabej, who used one of Jody’s nature photos — a baby robin hatching from its egg — for the cover of the textbook “Building the Most Complex Structure on Earth: An Epigenetic Narrative of Development and Evolution of Animals (Elsevier Insights) .” The textbook was published April 29, 2013. Visit Jody’s Bio page to learn more about her work.